Kazi Iqbal received his Ph.D. in economics from University of Washington, Seattle, USA in 2006. After completion of his Ph.D. he worked for World Bank Institute in Washington DC for three years as a consultant in Poverty Reduction and Economic Management Division. He also taught at University of Washington and Macalester College, Minnesota. His research interest lies in macroeconomics, development economics and applied econometrics. 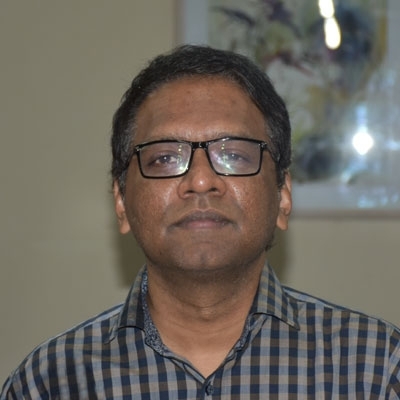 He has publications in internationally reputed journal such as Journal of Public Economic Theory, Climate Change Economics, Developing Economies, PlosOne, Demographic Research, BMC Public Health, etc. He is an associate editor of Journal of Bangladesh Studies and a member of the Editorial Advisory Board of Lahore Journal of Economics. · "Implications of Excessive Public Borrowing from the Banking Sector" in State of the Economy 2000, Bangladesh Institute of Development Studies.